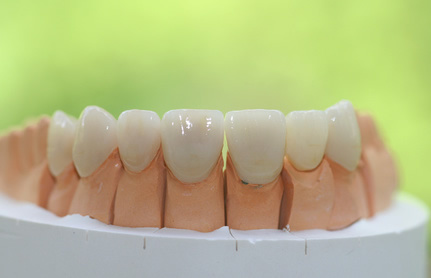 Composite fillings that match the color of your natural teeth and have the same strength as natural tooth enamel. Can be used to correct both color and shape problems, restorative work can fix your worn down, chipped, broken, misaligned, uneven, or irregularly shaped tooth. Thin shells of tooth-colored porcelain that are bonded onto the front side of teeth so to create a cosmetic improvement for a tooth. Dentists routinely use porcelain veneers as a way to make cosmetic changes for teeth that are discolored, worn, chipped, or misaligned. A tooth-colored resin material is applied and hardened with a special light for repairing minor imperfections such as chips and stains. It can also be used to fill gaps between the teeth. We welcome new patients, contact us now!